Before the rise of non-surgical medical aesthetic treatments, the only way to get rid of saggy skin and wrinkles, there was basically only one way to do it – going under the knife for a surgical full facelift. Fast forward to today, anti-aging treatments no longer require you to take days off work and staying away from your friends to recuperate from the downtime with cosmetic surgery. In fact, all these skin rejuvenation treatments can be done during lunch hour, with very little recovery time. Over the years, dermal fillers have become one of the most well-received anti-aging treatments. This is due to the fuss-free treatment that provides astounding results. Of course, there’s always a downside. Most dermal fillers are temporary, lasting from anywhere from a few months to a year. Also, the effectiveness of dermal fillers as a face lifting treatment is only limited to mild and moderate saggy skin. 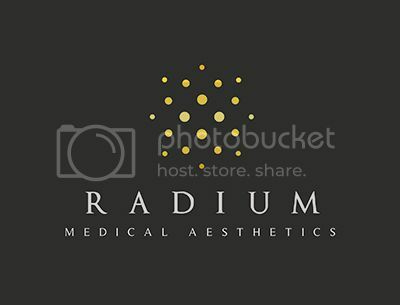 Before you get all excited about seeing a doctor for a dermal filler treatment, we speak to a renowned medial aesthetic doctor in Singapore, Dr. Siew Tuck Wah, Medical Director and co-founder of Radium Medical Aesthetics to find out 5 important things you must know. There is a variety of filler materials available in Singapore that vary in source, longevity, and material. Trust a doctor that spends quality time with you to patiently explain your concerns and recommend the right dermal filler for the right indication. The area of concern to be corrected. Generally, for volumizing or facial augmentation, dense fillers are preferred; for superficial concerns such as overall skin rejuvenation and smoothening of fine lines, lighter molecules are preferred. Longevity of result. Different fillers have different lifespans. Some last longer than others. Find out from your doctor about the different fillers and their effects. Material of dermal filler. Most dermal fillers are made of Hyaluronic Acid (HA). HA is a compound that is naturally found in our body. HA has the function to keep our skin supple and plump. There are also collagen-stimulating fillers made of Calcium Hydroxyapatite (CaHA) and polycaprolactone (PCL). Discuss your concerns with your doctor and make sure you are 100% comfortable with the doctor before deciding to proceed with the treatment. Although rare, infections may happen at the injection site because of unsanitary conditions when treatment was carried out. Such low-grade infections can be easily treated with antibiotics. In extremely unfortunate circumstances, blindness from dermal filler can occur following an injection anywhere on the face. Even lip injections can cause blindness as long as the content of the fillers get inadvertently injected into any part of the facial artery. This could go all the way up to the eyes and then goes into the retina. In general, dermal filler treatments can range between S$500 and $1600. However, treatments from high-end clinics have been known to charge a premium because of the doctors’ experience and the customer experience when you step into the clinic. Always ask for testimonials and find out from your friends and make sure you are 100% comfortable before embarking on your smooth, wrinkle-free experience. As the saying goes, ‘Buy cheap, buy twice’. Never make your decision to proceed with a filler treatment with a doctor based solely on price. For those who have consulted different doctors before, you may know that the price of dermal fillers can vary. Always remember that the premium you are paying is not for the content of the dermal filler. Injecting dermal fillers for facial augmentation is both a science and an art. The doctor needs to be very familiar with your facial anatomy and administering dermal fillers. Your doctor also needs to be able to appreciate beauty and have a keen eye for detail. Dermal filler companies like Galderma and Merz Aesthetics cherry-picked a handful of aesthetic doctors to be their dermal filler trainers. You can be assured that you are in safe hands if you look for one of these appointed trainers. What Training and Qualification Should Aesthetic Doctors Have Before Administering Dermal Fillers? There is no statutory regulation of injectable treatments with regard to dermal filler. All doctors in Singapore need to have a basic medical degree from a recognized university. However, to ensure optimum safety and best practice, dermal filler companies such as Galderma and Merz Aesthetics often organize training workshops to train local doctors to make sure that they are sufficiently qualified to administer dermal fillers. Dr. Siew Tuck Wah is a certified trainer for dermal fillers for both Galderma and Merz Aesthetics. He practices at Radium Medical Aesthetics located at Suntec City Mall.